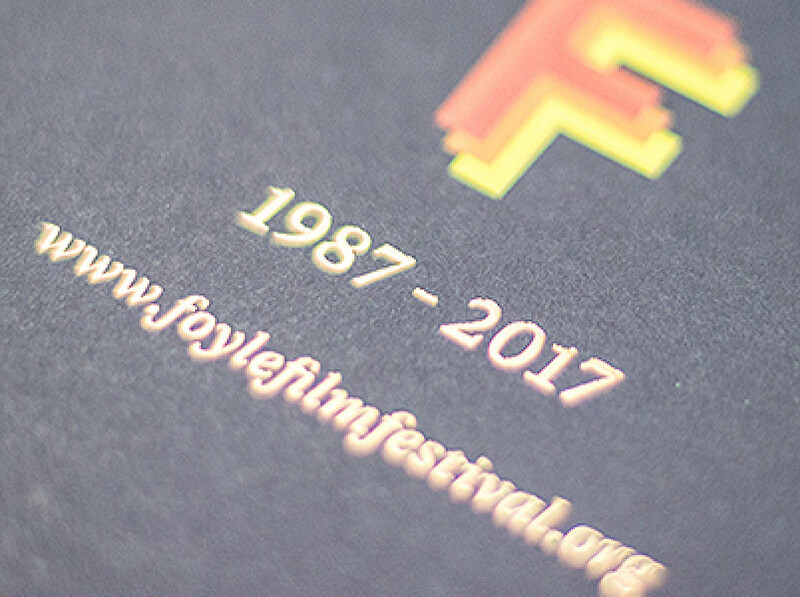 2017 sees Derry~Londonderry's Foyle Film Festival turning 30, and the occasion was marked with a stunning new festival programme courtesy of Whitenoise. Senior Designer Andy Day's brief was to produce an elegant piece of print which serves not only to highlight a packed programme but also to note this important milestone, and lavish use of foil blocking on uncoated stock combined with a rigorous applied design style delivered on this. 64 pages in extent with a perfect-bound cover in a non-standard and eye-catching size, the programme has a high-quality feel and a durability expected by avid film-goers and festival fans.